[tweetmemediggfacebook] Make hay while the sun shines; Eat, drink, and be merry; A bird in the hand is worth two in the bush: Our language is peppered with injunctions to live in the here and now. And why not? The future may never come: A sensible strategy shaped by thousands upon thousands of years of short, brutal lives truncated by disease and pestilence. Or simple fever. It wasn’t until the 1800’s that average life expectancy crept above the 40’s. In the (evolutionary) short 200 years since, our lives have changed so dramatically that our ‘survival kit’ hasn’t caught up. We still value now much greater than later. To dress this condition in it’s Sunday best we’d call it ‘Excessive temporal discounting’, and refer to it as ‘ the tendency for people to have excessively stronger preferences for immediate gains relative to future gains’. But we’re less formal here – you’re amongst friends. Friends that will tell you that focusing on short-term gain is hemorrhaging you money, and going to kill you early. For most of you any way. 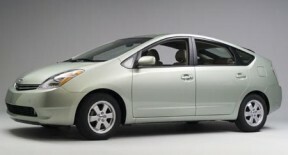 Between 2000 and 2006, U.S. hybrid sales increased from 3,000 to 250,000 vehicles writes the Nudge blog. In a Havard research working paper, Kelly Sims Gallagher and Erich Muehlegger, of Harvard’s Kennedy School, try to quantify the effect of public policy, fuel prices, and social preferences on hybrid sales. Interestingly they found that the type of tax incentive offered on new hybrids is as important as the value of that incentive. But it is the sales tax incentives that are seven times more popular (and drive sales more effectively). Excessive temporal discounting indeed. As a young student – nearly 20 years ago – Dan Ariely was diagnosed with Hepatitis C. The only treatment available was new. 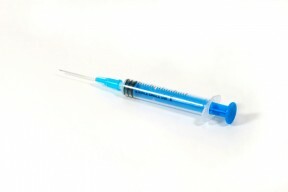 It involved 3 self-administered injections a week for 6 months. He was warned that after each injection he would experience fever, nausea, headaches, and vomiting before falling asleep and waking up with flu-like symptoms, finally feeling better 16 hours later. They were right. Every time. This stark contrast between short-term pain and long-term gain saw every patient fail to comply with the regime, except Dan. As a film buff Dan kept himself on track by treating himself to a DVD after every injection – a short-term gain masking a short-term pain. Even so, I think most of us would still find it a difficult decision to make 3 times a week for 6 months – and its decisions less challenging this that are killing us all. Ralph Keeney, of Duke University, recently noted that America’s top killer isn’t cancer, or heart disease, or smoking, or obesity. It’s our inability to overcome our own short-term behaviour: Ralph estimates that about half of us will make a life-style decision that will ultimately lead us to an early grave. Death and taxes – they’ll get you in before the end.